Business sentiment improves for the fourth consecutive quarter despite little change in ground realities, finds the latest Business Today-C fore Business Confidence Survey. "Inch by inch, life's a cinch. Yard by yard, life is hard." American author John Bytheway's this quote is, perhaps, one of the best ways to describe the style of the Narendra Modi-led National Democratic Alliance government (NDA) in dealing with economic matters. While the government is taking an unhurried approach towards reforms - avoiding big-bang measures - expectations continue to skyrocket month after month. 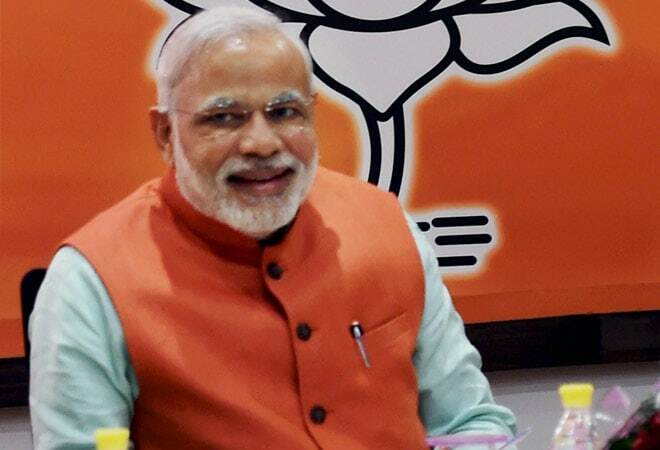 Recent initiatives such as labour reforms, relaxing of environmental regulations, opening up of foreign direct investment in defence and railways, higher emphasis on financial inclusion, unclogging of stuck infrastructure projects, and cutting bureaucratic red-tape have boosted business sentiment. The latest Business Today-C fore Business Confidence Survey has registered a sharp uptick in confidence levels of business leaders. The survey shows that, on a scale of 100, confidence level jumped for the fourth consecutive quarter to reach 60.5 in the July-to-September period of 2014/15, up from 56.8 in the previous three months and 51.4 in the January-March period. Market research agency C fore quizzed 500 CEOs and chief financial officers across 12 cities for the survey. It is the thirdhighest level for the index since the survey was started in March 2011. Business confidence began to improve from October last year but picked up pace in the first quarter of this fiscal year after the NDA formed a stable government at the Centre. 'Even if there's demand upsurge in the near future, it will be met through existing capacities, which means no fresh capital investment is expected in these sectors,' says Arvind Singhal, CMD, Technopak. Broadly, the survey presents a rosy picture. But a deeper analysis reveals that, as compared to the expectations for the July-to-September period, respondents were more optimistic about micro indicators than macro indicators in the quarter through December. For example, there's a decline in the percentage of respondents who are hopeful about the future in areas such as overall economic situation and overall business situation. In the latest survey, 48 per cent respondents feel that overall economic situation will improve in the October-to-December quarter whereas 46 per cent expect the overall business situation to get better. The comparative figures for the last survey stood at 68 per cent and 62 per cent, respectively. On the other hand, respondents are more optimistic about a pickup in sales and profits in the latest survey. 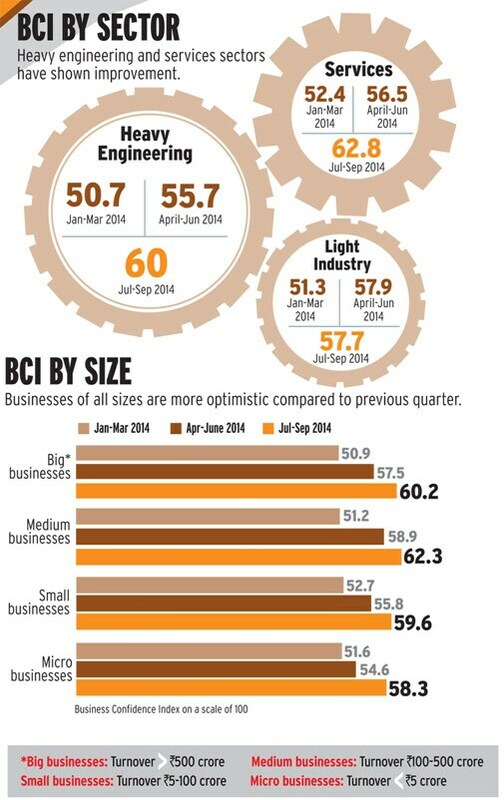 In the case of profits, more than a third (36 per cent) of respondents expects an improvement in the current quarter. 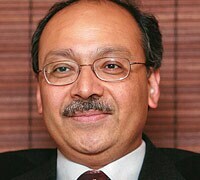 "It is after quite some time that people have seen political will to drive the India growth story," says Vinayak Chatterjee, Chairman and Managing Director of infrastructure consultancy Feedback Infra. 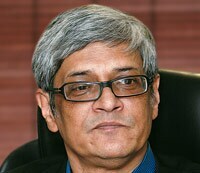 Bibek Debroy, Research Professor, Centre for Policy Research, says the optimism is a result of GDP growth accelerating from below five per cent for two consecutive years to 5.7 per cent in the three months through June. But he adds a note of caution. "Most other parameters have not shown much improvement. There's still no clarity on interest rates, implementation of the Goods and Services Tax, fiscal deficit and what's likely to come in the next budget," he says. The latest survey also points out that nearly three-fifths of the respondents expect production levels and order books to increase in the October-to-December quarter. The trend is almost in line with the previous survey. While the economy has shown early signs of revival, there are several challenges that have to be dealt with. Capacity overhang, poor industrial production, weak exports and a stressed banking sector are the most prominent concerns. In August, industrial production grew 0.4 per cent year-on-year, pointing at patchy economic rebound. Tepid merchandise export growth of 2.35 per cent in August is also a cause of worry. There are some positives as well, including lower crude oil prices that will likely remain subdued for the time being. Concerns related to poor monsoon rainfall have also subsided. Also, the recent change in India's ratings outlook by Standard & Poor's from negative to stable is a precursor to a ratings upgrade in the future. The survey also says that almost two-thirds of respondents plan to hold back their investments due to the Reserve Bank of India's (RBI) tight monetary policy. 'Thereâ€™s still no clarity on interest rates, implementation of the GST, fiscal deficit and whatâ€™s likely to come in the next Budget,' says Bibek Debroy, Research Professor, Centre for Policy Research. In its September policy review, the RBI kept its key lending rate on hold at eight per cent. Arvind Singhal, Chairman and Managing Director of consultancy firm Technopak, says high interest rates are not the sole reason for companies to go slow on expansion. "Sectors such as auto, consumer durables, and textiles have significant unutilised capacity that they have created in the past four years. Even if there's demand upsurge in the near future, it will be met through existing capacities, which means no fresh capital investment is expected in these sectors," he says. Venu Srinivasan, Chairman of TVS Motor Company, says industry will be in a better position to take a call by April 2015 because the next budget will reveal the strategy of the NDA government. "In this year's budget, the government did a courageous job of setting before itself a 4.1 per cent fiscal deficit target. It was a big step to improve sentiment," he adds. An August 2014 report by Citigroup says the government is taking enough steps to revive investment and control inflation. "Recent initiatives point to 2016/17 GDP growth reviving back to seven per cent, if not more," the report says. It adds that the government has joined hands with the RBI in its war against food inflation, and has also acted swiftly by moderating the increases in minimum support prices of crops and by taking other measures to control prices. The results are evident. Wholesale price inflation fell to a five-year low of 2.38 per cent in September. The survey asked respondents if they expect foreign capital inflows into India to rise as the Modi government strengthens its ties with the US and China. More than two-fifth (42 per cent) respondents believe it is likely to happen. Ajit Ranade, Chief Economist at Aditya Birla Group, says economic diplomacy is important to fund infrastructure needs of the country. "We know India needs $1 trillion in the infrastructure sector [over five years to 2017]. Japan is sitting on a huge pile of pension funds. China also has a large stock of foreign exchange. If we can convince them, some part of it could come to India." Technopak's Singhal says that, in the next 12-18 months, there will be more reasons for optimism. "By next year, we will see foreign companies starting to make fresh investments in India. It is all hope right now."